Hey Everyone! Thanks so much for stopping by. I am so happy to be back designing alongside this awesome design team. 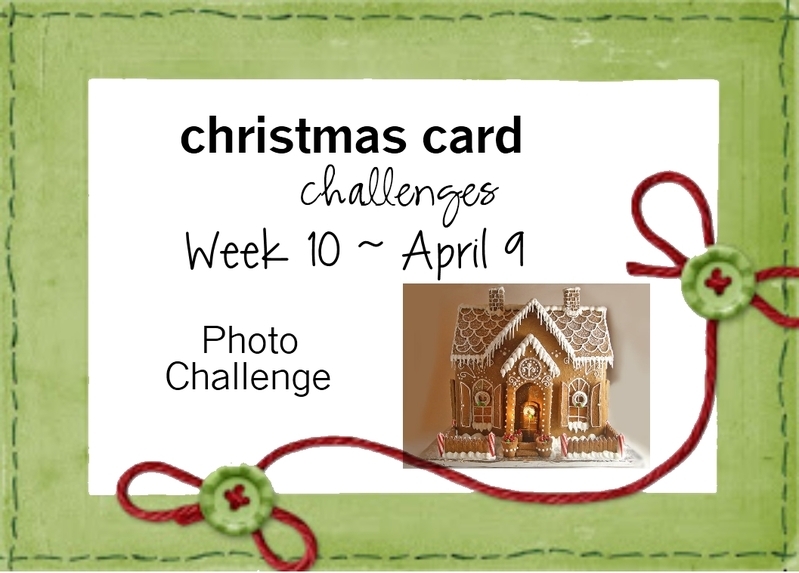 I unfortunately didn’t design a card for last week’s challenge, as I had hurt my back, so wasn’t doing much card making at all as I found it difficult to sit for long periods of time. I am however back this week, and really enjoyed the challenge for Christmas Card Challenges and am so blessed to be able to design alongside some incredibly talented women. It would be so awesome if you would play along with us! 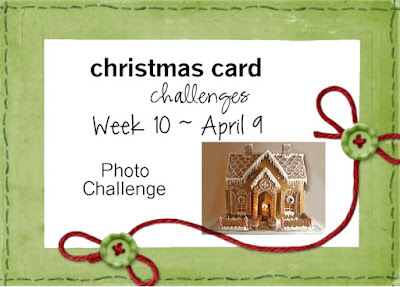 When I first saw this photo I knew immediately which stamp I was going to use for this challenge. The gingerbread house image that I used is one of my most favourite stamps. I love how it looks and I love the various possibilities that you have when colouring it. 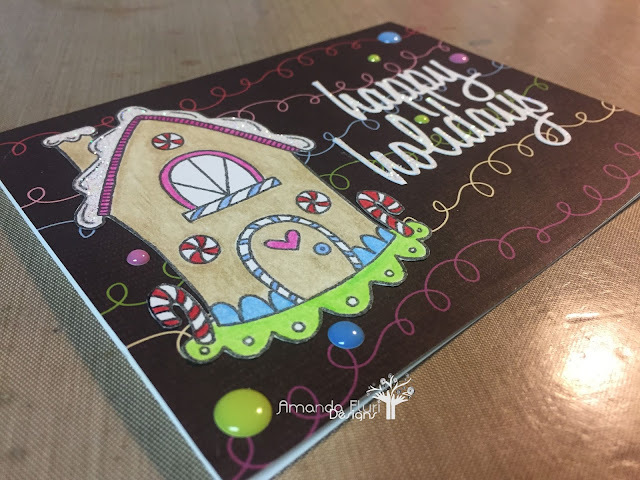 It looks amazing stamped on kraft paper, it looks so cool with liquid applique on the frosted areas to give it some dimension, and its also a great stamp to pair with some of the other ones in the set to create a beautiful scene. 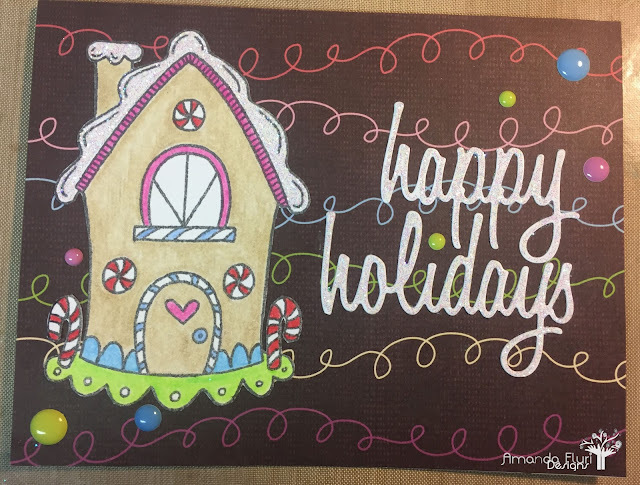 Doodlebug Sprinkles - used to add some dimension and interest to the card front.